Watch popular Congolese singer Fally Ipupa as he brings the heat from Africa to California, in an entertaining live performance in Los Angeles. Watch, comment and share with friends online! 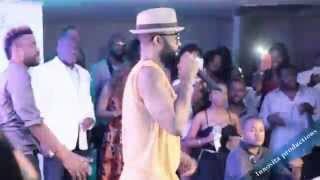 Fally Ipupa at his best performance in Los Angeles featuring RIcardo Lemvo. Produced by Bombastic na LA in collabo with Didier Bangu, Eric Deroca, Toto Usseni & Evans. Special Thanks to Maquis Creyol Club, La Reine Mere Carol Yapo & Babi Charly.